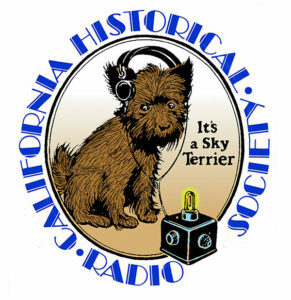 Check out the website of our sponsor, the California Historical Radio Society, for articles on radio history by Bart Lee and others, information on radio restoration, videos by broadcast legends, a calendar of radio events, and more. If you like what you see, please consider joining us and making a donation to our non-profit organization. SoWP member, ham radio guru and writer John Dilks, 5729-TA, has given interesting presentations on the Airship America and the Titanic disaster that you can watch on YouTube. SoWP member Spud Roscoe, 2301-M, has devoted years to documenting the history of maritime wireless in Nova Scotia. For this and other information of interest to radio history, visit his website. Ten years before he founded the Society of Wireless Pioneeers, William Breniman had founded another organization, the Society of Airway Pioneers, which is still active in preserving aviation history. Check it out!